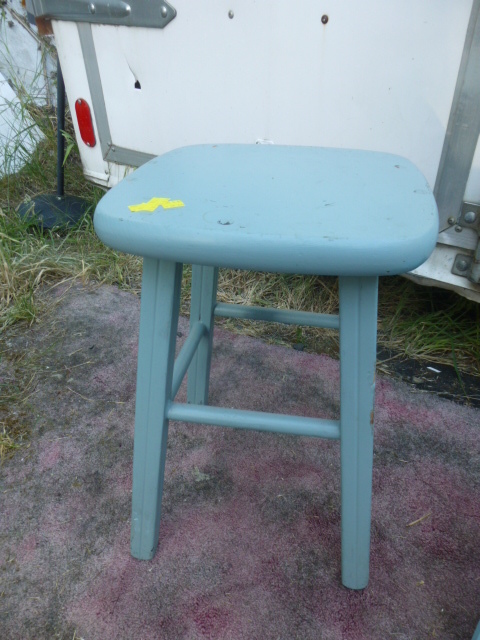 Thrifted blue stool. 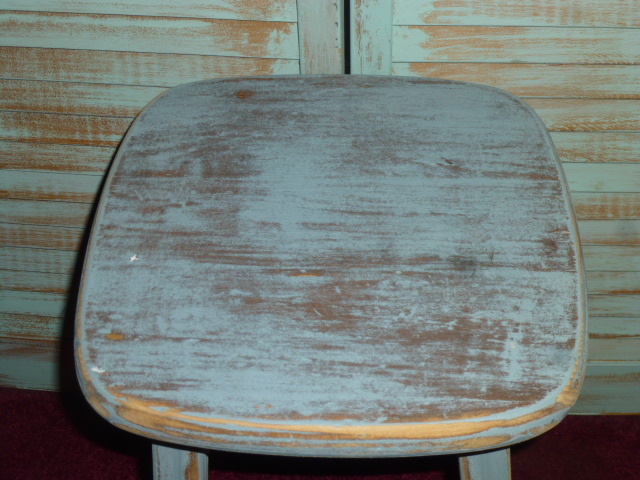 Sloppy paint job to begin with, and getting a bit grubby looking. (but not grubby in a GOOD way! just dirty and ICKY looking!) Needed a good sanding before I could do anything further with it. Got out my trusty orbital sander and gave it a VERY quick once over. Seriously, less than five minutes! 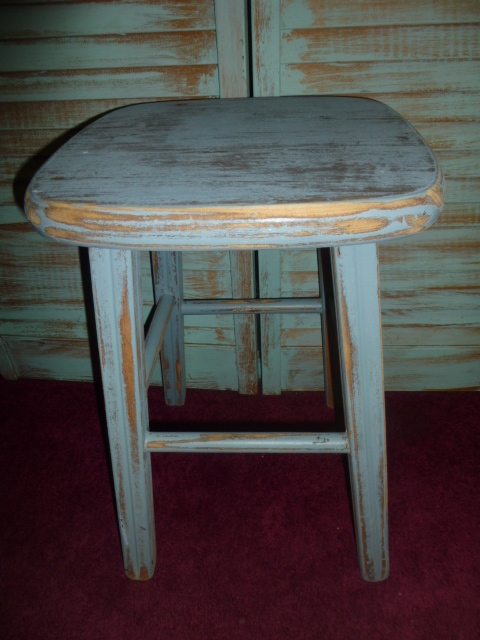 So then I stood back and pondered my next step for this stool. It isn’t quite ‘my color’; but I’m kinds liking the faded denim look . . . So I decided to stop there and leave it just sanded. Sometimes LESS word is just enough! 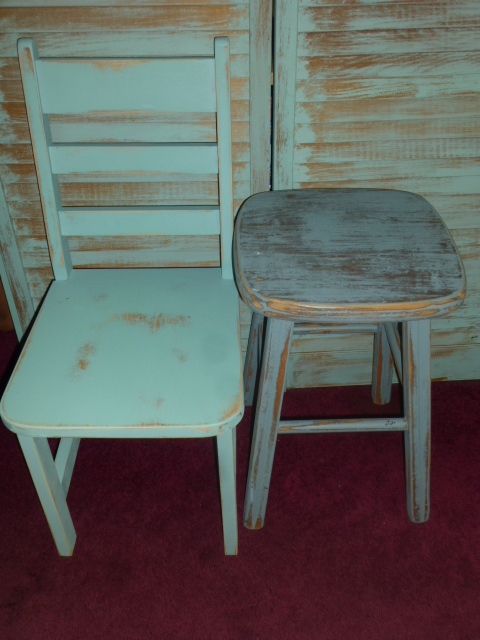 Like not further embellishing the chair; I can always bring it home later if it doesn’t sell and ‘do more work’ on it. 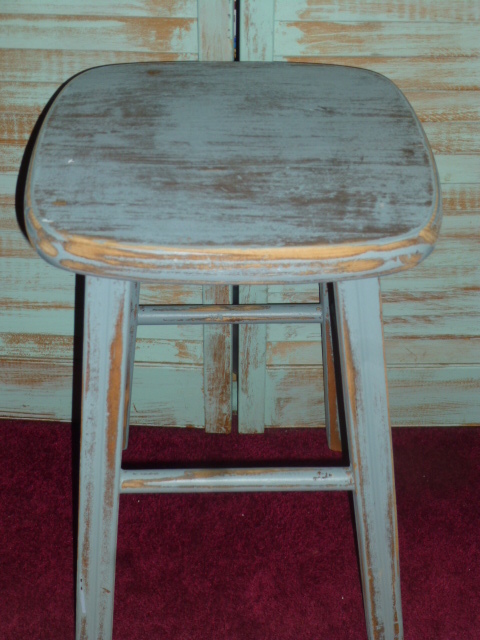 This little stool can be purchased for $19.00 in my booth at Stars Antiques in Portland. I love it! Isn’t it great when you find something that is mostly aged to perfection already? No scraping or sweat or involved. Hello AJ, just wanted to let you to know while visiting my sister in Portland, I got to stop by Stars and see your booth. It is even BETTER in person! When my sis told me she was going to take me, I was so excited. Your space is so well designed, really shows your creativity. When I visit again next year hopefully I’ll get to run into you. In the mean time, thanks for sharing your creativeness! Thanks Christi! I’m glad you were able to stop by my booth. It’s difficult to imagine what the ‘whole thing’ looks like from a bunch of chopped up pictures, I’m sure. Glad you thought it looked BETTER in person. Let me know in advance next time you are going to be in town, and I’ll try to schedule my weekly trip to Stars to coordinate with your visit. I sure will! 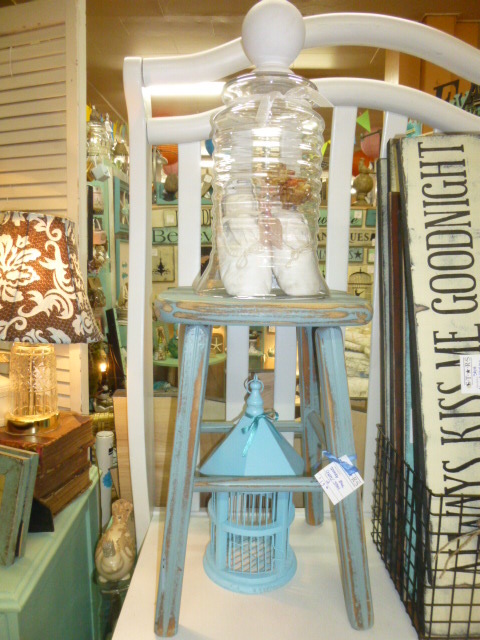 Your pictures are good & I was able to find your booth right away, saw your signature beachy blue!